HERAT -- Farmer Murad Khan Ishaqzai has been forced to leave his home for the second time in his life where he was born 80 years ago, not by war but by the worst drought in living memory. Ishaqzai, wizened and weatherbeaten by decades of working in his wheat field, is one of more than 250,000 residents of western Afghanistan displaced by the months-long dry spell that has devastated crops, livestock and water supplies. Beaten by the inhospitable conditions, many Afghan families in rural areas travelled hundreds of kilometres in the back of rented trucks through districts contested by the Taliban militants and government forces to reach Herat, the eponymous provincial capital. There, they set up pitiful, makeshift tents on the rocky outskirts of the city. "The farms were destroyed, our livestock perished, and we left our donkeys in the desert because we couldn't feed them anymore," said Ishaqzai, who brought his family from Ghormach District, Badghis Province, one of the hardest-hit provinces in the country. 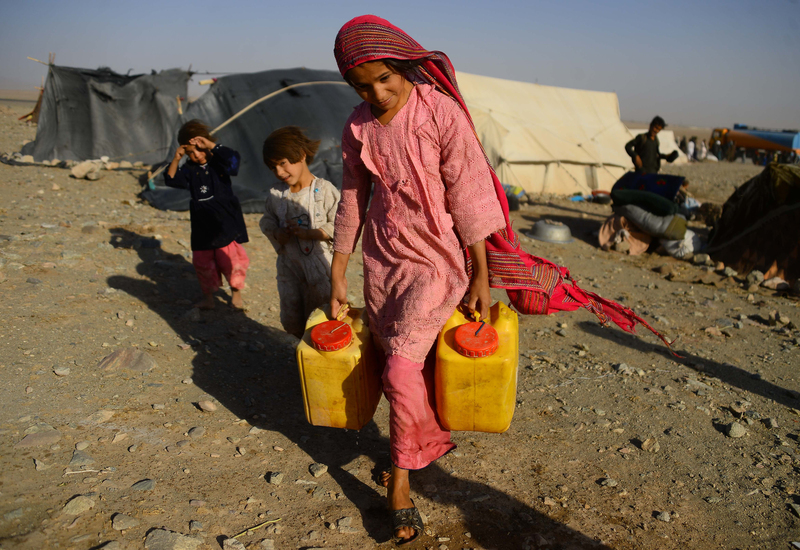 Conditions are miserable in the camps that have mushroomed across the unforgiving landscape in recent months as above-average temperatures and intense fighting forced more Afghans to abandon their villages and livelihoods. Dust whipped up by the relentless wind has become a second skin for camp dwellers. Children have little to play with except rocks -- when they are not filling their family's jugs with water delivered by trucks, begging or collecting rubbish in the city. Men who used to proudly support their families now sit around with nothing to do, while their wives squat on the ground making bread -- the only food many of them can afford to eat. "If I could have stayed there [in Badghis], I wouldn't have come here, even if you gave me all of Herat city," Ishaqzai said, a pristine white turban wrapped around his head. A drought 15 years ago temporarily forced Ishaqzai and his family from their home, but this one is "the worst in my life," he said. The rising number of displaced families has overwhelmed Afghan officials and foreign aid groups, which are struggling to meet the demand for food, shelter and health services months after the crisis began. As winter approaches, United Nations (UN) Humanitarian Co-ordinator in Afghanistan Toby Lanzer said more international funding was urgently needed. "Over 5.5 million people are in need of emergency relief," Lanzer told reporters in New York in October, pleading for more funds to help those affected by the raging drought and the conflict. "If we do not engage more on the short-term emergency relief requirements, the development gains that we have achieved over the past years... could be lost," he said. The drought affecting 2.2 million Afghans in some 20 provinces nationwide was triggered by a huge shortfall in snow and rain last winter. Roughly 1.4 million residents are in urgent need of food assistance -- the majority in the west -- with only half reached so far, according to the UN Office for the Co-ordination of Humanitarian Affairs (OCHA). More than 70% of displaced families in the country's west do not have enough to eat and 33,200 acutely malnourished children under the age of five need "life-saving treatment", OCHA said in a September 20 report. Residents of the camps told AFP they have been surviving on a diet of bread and tea for months because they do not have enough money to buy fruit, vegetables or meat. "Everyone is starving here," Naw Khan Zamanzai, another resident of Ghormach District, told AFP as he sat in his tent surrounded by his six children. "We didn't care about the war as it's been going on for years," he said. "We were happy, busy farming, but because of the drought, our children were starving." Basic sanitation is also in short supply in the camps. While some inhabitants have access to latrines, hundreds more are needed. In the meantime, many defecate in the open, causing serious health problems. 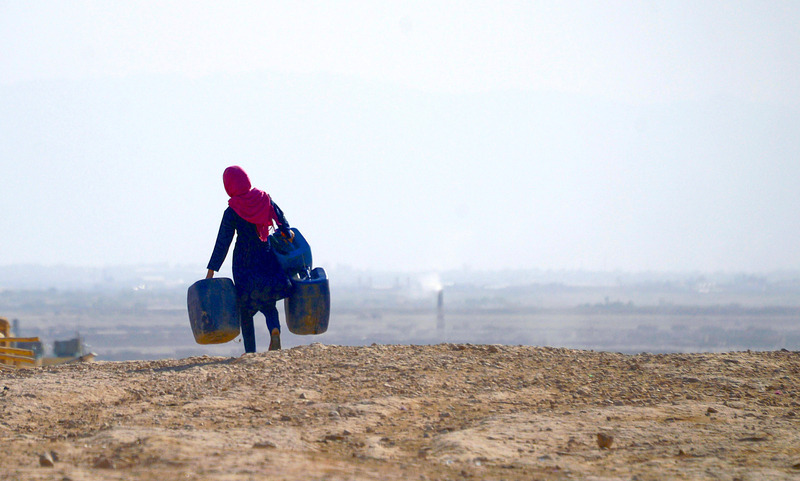 The Afghan government is determined to help those affected by the drought, said Qasim Rahimi, deputy director of the Afghanistan National Disaster Management Authority (ANDMA). The Afghan government, with support from its international partners, has so far distributed food, non-food and cash assistance to many members of the affected population and this process continues, he told Salaam Times. A new toll-free nationwide call centre, established by the United Nations (UN) in September, will also help those in need. 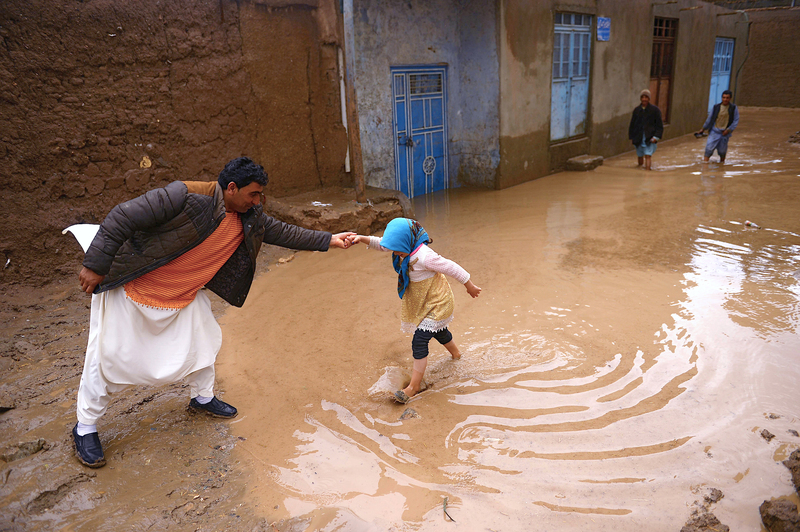 "The Afghan government ... is committed to helping citizens who have been affected by natural disasters and drought," ANDMA spokesperson Omar Mohammadi told Salaam Times. "We will try to help our citizens based on any information that reaches us through the centre."